If you had one month and $5,000 to live a dream or give a dream, what would you do? And where would you go? Hilton posed this question to its Team Members for its first Hilton Thrive Sabbatical. Ten people were chosen to live out their wishes anywhere in the world. Holly Randall poses for a portrait at the Kawetara Mountain lookout in Mbeya, Tanzania. 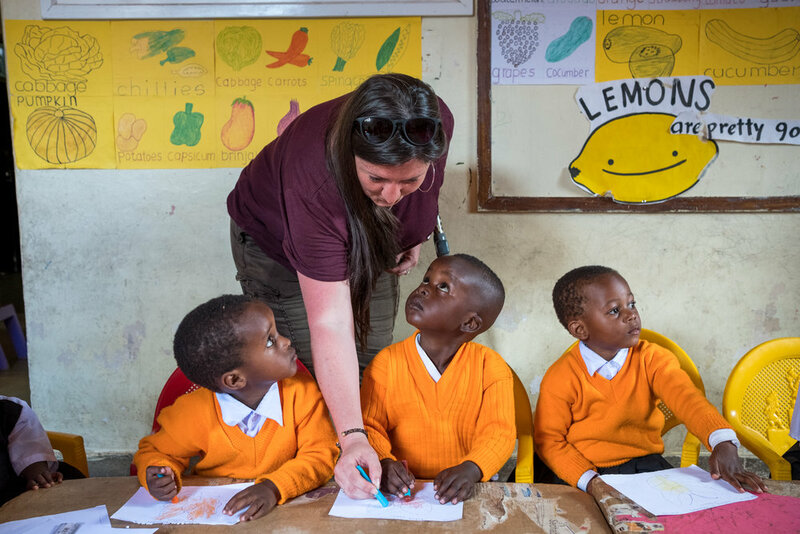 During Holly’s four-week sabbatical, she volunteered at Child Support Tanzania, a non-governmental organization located in Mbeya, Tanzania, that educates disabled children. Holly helps students at Child Support Tanzania, a non-governmental organization located in Mbeya, Tanzania, that educates disabled children. 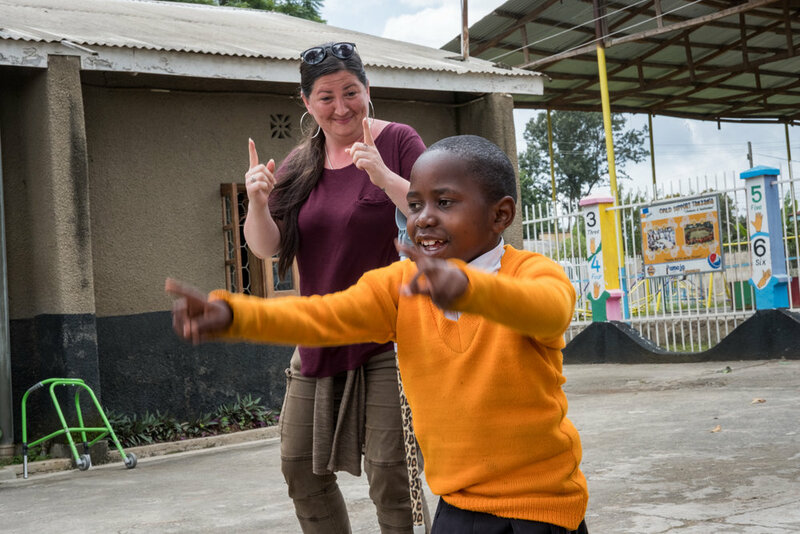 Holly helps a student (John Casto Mbawala) ride a bicycle at Child Support Tanzania, a non-governmental organization located in Mbeya, Tanzania, that educates disabled children. Holly prepares gifts with her partner, Steve, at Child Support Tanzania, a non-governmental organization located in Mbeya, Tanzania, that educates disabled children. For one week of her sabbatical, Steve visited and supported Holly. During that time, they delivered and presented gifts to the students and faculty, including games, books and crayons. Students at Child Support Tanzania interact and play on assisted walking equipment. Holly looks at plates hanging in a classroom at Child Support Tanzania. Each plate is assigned to one student and has a list of his/her current learning activities. 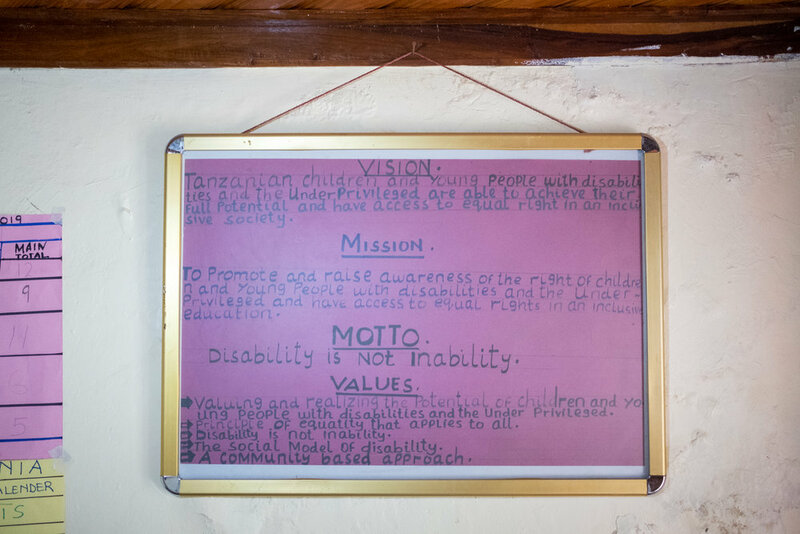 At Child Support Tanzania, a non-governmental organization located in Mbeya, Tanzania, that educates disabled children, a motto sign hangs on the wall in the teacher’s office. Holly (left) poses for a portrait with Noelah Msuya (right) in Noelah’s home in Mbeya, Tanzania. Noelah is the Executive Director of Child Support Tanzania, a non-governmental organization that educates disabled children. A teacher helps a student (Felistar Sabbi Mwangolela) stand up and walk at Child Support Tanzania, a non-governmental organization located in Mbeya, Tanzania, that educates disabled children. Holly visits the home of Child Support Tanzania student Edgar Philipo Mwalukisa (center-right). Edgar’s mother (right) and CST Executive Director Noelah Msuya (center-left) join them nearby. 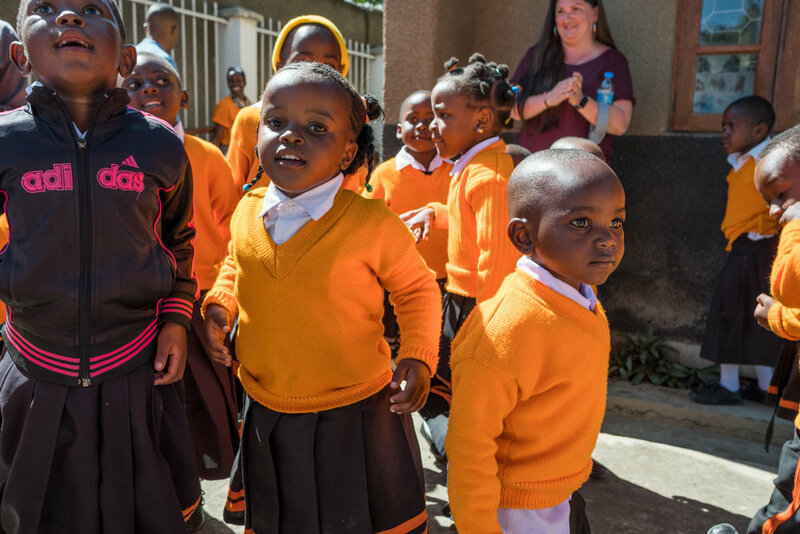 Holly (standing background) watches student activities at Child Support Tanzania, a non-governmental organization located in Mbeya, Tanzania, that educates disabled children. Holly dances alongside a student at Child Support Tanzania. Each day, students have the opportunity to play outside, socialize and listen to music. Holly watches students during lunchtime at Child Support Tanzania. Holly poses for a portrait inside a classroom at Child Support Tanzania, a non-governmental organization located in Mbeya, Tanzania, that educates disabled children. 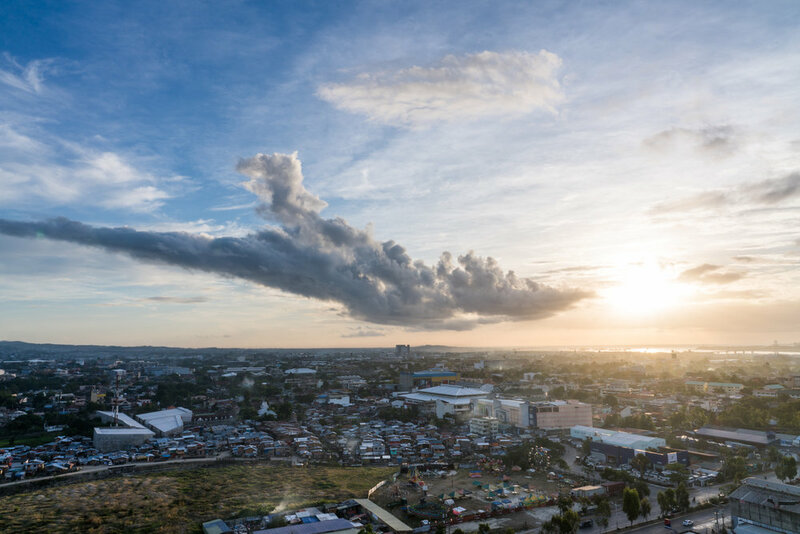 Clouds partially cover the sun as it rises above Cebu City, Philippines. 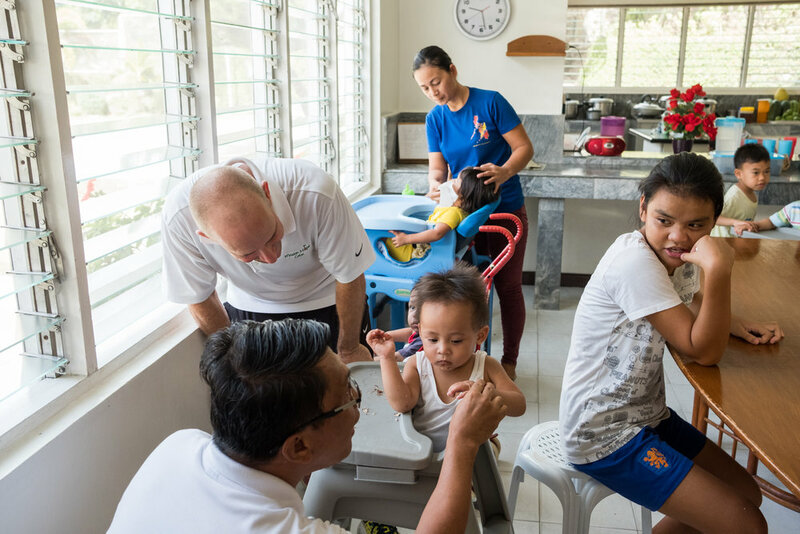 Frank Becker, a Hilton Team Member and Thrive Sabbatical winner, established a local program to help children in Cebu, who usually survive off trash dumps, by offering school supplies and nutritious meal programs. Frank Becker interacts with children at the Children’s Shelter of Cebu in Cebu City, Philippines. During Frank’s sabbatical he works with many different organizations that help children. Frank uses a globe to illustrate where he volunteered in Cebu, Philippines. Frank Becker (right) walks with Marie Perly Anciano (left) on a road near the Mandaue Dump Site in Cebu, Philippines. Frank visits the dumpsites daily, and Marie is one of the many children that Frank has helped by donating school supplies and offering meals. Frank Becker (center) has a group hug with several teenagers who live near the Mandaue Dump Site in Cebu, Philippines. Frank has been returning to this dumpsite for many years, so he has established strong bonds with teens and their families. Children play as traffic goes by on a street near the Mandaue Dump Site in Cebu City, Philippines. Children usually skip school so they can work in the dumpsite to collect recyclable material, oftentimes the family’s main source of income. A colorful sunset illuminates the sky as people drive along a road near the Mandaue Dump Site in Cebu, Philippines. Frank Becker (back, center) dances with children during bible school at Living Bread Ministry in Cebu, Philippines. Frank instills faith-based exercises during the programs before offering school supplies and meals. 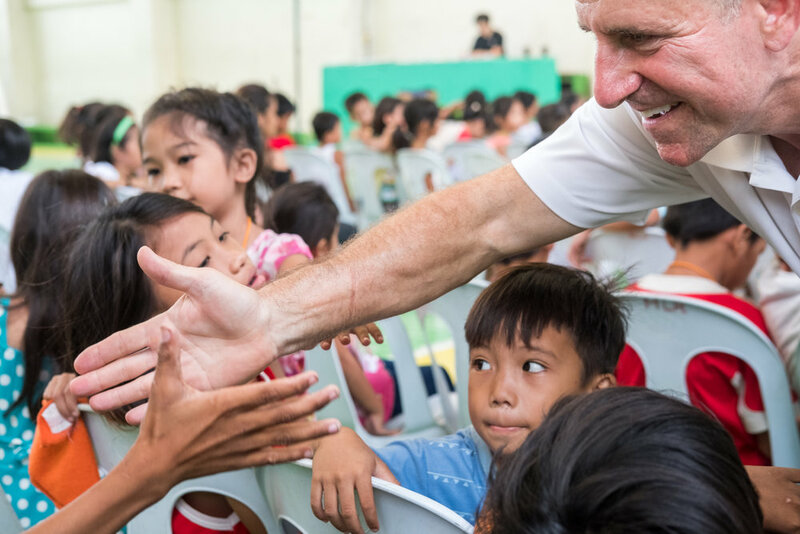 Frank Becker (right) greets children attending a community-giving event in Cebu, Philippines. During the event, Frank and local organizations include fun activities and games for the children. Rose Marie Plando (right) holds open a backpack filled with school supplies at a community-giving event in Cebu, Philippines. Frank works with organizations that donate the supplies. Sometimes he purchases the material himself. Frank Becker (off-camera right) distributes free backpacks filled with school supplies at a community-giving event in Cebu, Philippines. Frank Becker (top center) poses for a picture with students who received new backpacks filled with school supplies at a community-giving event in Cebu, Philippines. Because of Frank’s efforts, hundreds of children received supplies during this sabbatical time. 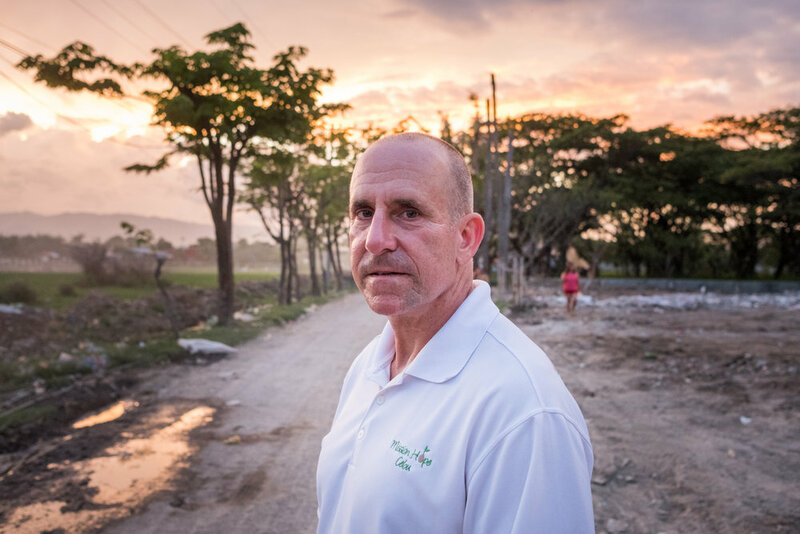 Frank Becker, a Hilton Team Member and Thrive Sabbatical winner, poses for a portrait on a road leading to the Mandaue Dump Site in Cebu, Philippines. Frank uses his personal vacation and savings to make a difference in this community. From a vantage point near the Rome Cavalieri Waldorf Astoria Luxury Resort, the dome of Saint Peter’s Basilica crowns the skyline of Rome, Italy. Patrizia Pilloni -- a Hilton Team Member for 29 years at the Rome Cavalieri, Thrive Sabbatical winner and Rome native -- had a dream since childhood to learn how to sail. With the Thrive Sabbatical support, she has taken steps to become a licensed sailor. 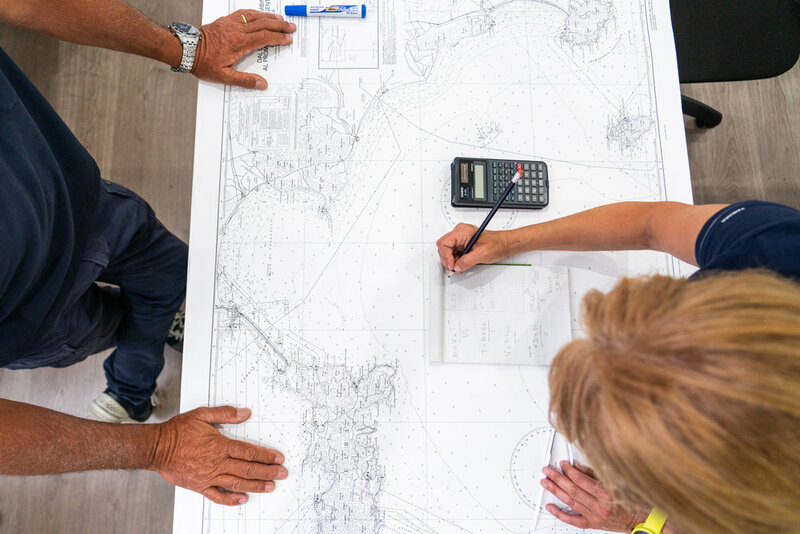 Patrizia Pilloni (right) learns sailing knowledge from her instructor, Claudio Rinaldini (left), at the Newton Nautical School in Rome, Italy. Claudio taught her sailing theory and practice in the classroom and on the water. Patrizia Pilloni (right), a Hilton Team Member and Thrive Sabbatical winner, learns sailing knowledge from her instructor, Claudio Rinaldini (left), at the Newton Nautical School in Rome, Italy. Patrizia did practical theory for months alongside the hands-on sailing on the water. Patrizia pauses on a bridge at the Fiumicino Harbor in Italy. She visits the harbor, where the sailing boat is docked, several times each week for hands-on instruction. 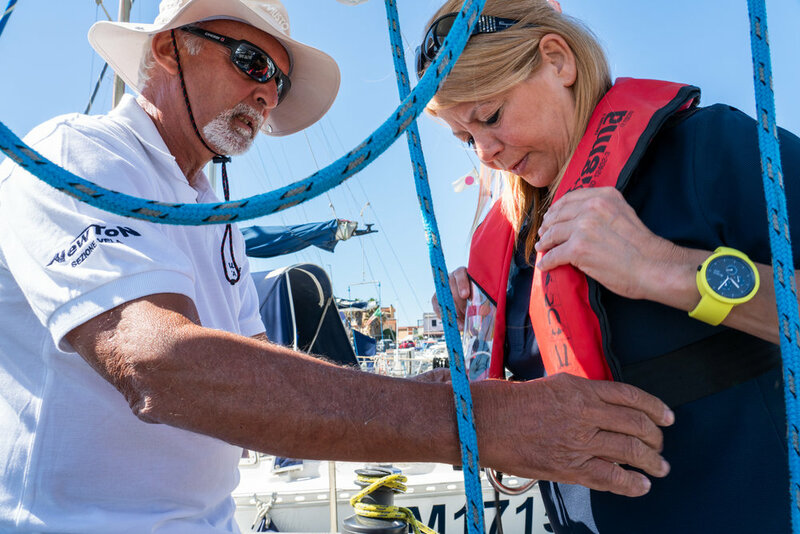 Patrizia (right) puts on a lifejacket with help from her sailing instructor, Claudio Rinaldini (left), at the Fiumicino Harbor in Italy. 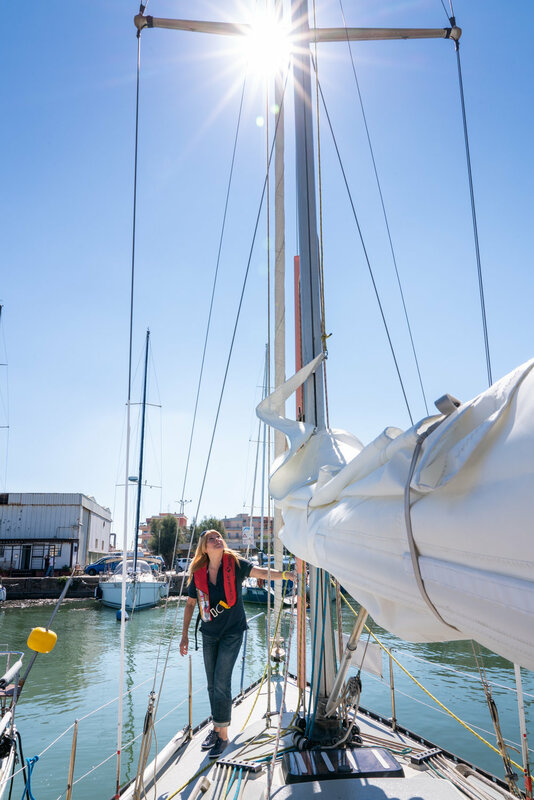 Patrizia performs routine checks of the sailboat before sailing off at the Fiumicino Harbor in Italy. Patrizia Pilloni (left) steers the sailboat through Fiumicino Harbor in Italy as her instructor, Claudio Rinaldini, gives instruction. Patrizia Pilloni manages the sail’s rope as she sails into open waters from Fiumicino Harbor in Italy. 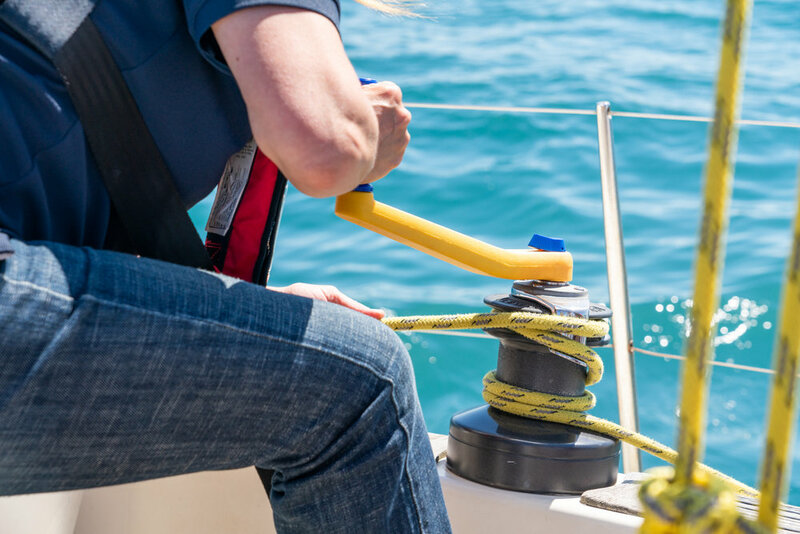 Patrizia learned that sailing involves physical and mental strength, while understanding the science and hands-on demands. 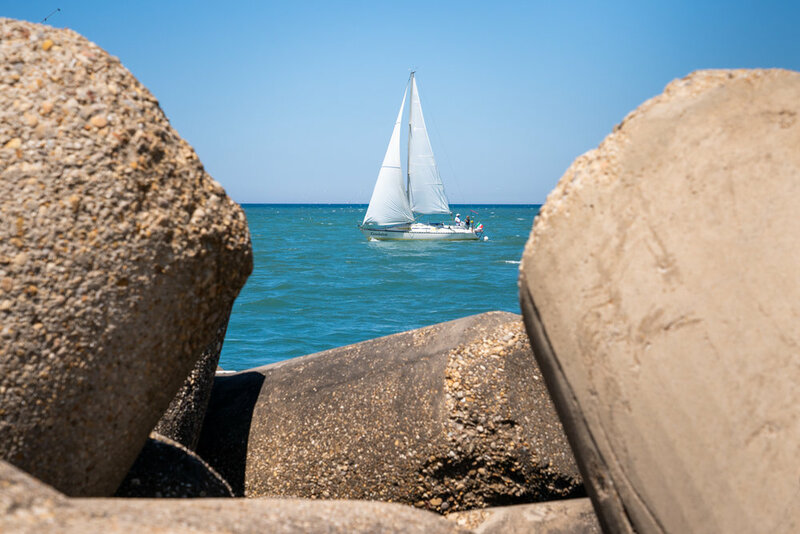 Patrizia Pilloni steers the sailboat into opens waters from Fiumicino Harbor in Italy. Patrizia Pilloni (in blue) and her sailing instructor, Claudio Rinaldini (in white), sail a boat into open waters from Fiumicino Harbor in Italy. 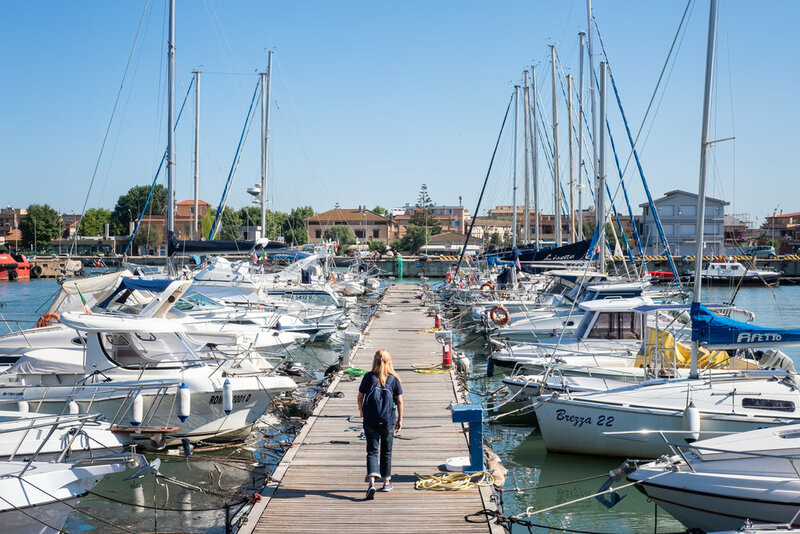 Patrizia Pilloni walks along a Fiumicino Harbor pier in Italy to meet her instructor for a daily sailing lesson. Patrizia Pilloni poses for a portrait along a small street near Campo de’Fiori in Rome, Italy. Patrizia holds a picture of her mother, who was a huge influence on Patrizia to follow her dreams. Ingy Helal, a Hilton Team Member and Thrive Sabbatical winner, poses for a portrait on the grounds at Hilton Sharm Waterfalls Resort in Sharm El Sheikh, Egypt. Ingy introduced a training program at the property to help young adults, especially women, enter the tourism and hospitality industry. On the wall is the current staff photo collection, which is predominantly men; Ingy’s training program will introduce more women into the workforce. Ingy Helal (right) poses for a portrait with Fatma (left), a trainee in the Engineering/Electrical Department at Hilton Sharm Waterfalls Resort in Sharm El Sheikh, Egypt. Ingy’s training program brought young adults from Upper Egypt into the tourism and hospitality industry. Ingy (leaning on table) speaks with the initial group of 15 participant trainees. Each workday, Ingy has a check-in with the trainees to provide overall direction and receive feedback on their training activities. Ingy Helal (center in red) joins the initial group of 15 participant trainees for an outing at Naama Bay Night Market. Ingy (left) greets several of the training program participants as they arrive by bus to start work. Arwa (center), a trainee in the Human Resources Department at Hilton Sharm Waterfalls Resort in Sharm El Sheikh, Egypt, prepares employee paperwork with the help of her boss (left). Ingy Helal (right), the Hilton Team Member who introduced the program, looks on. The training program lasts for almost two months. After a ceremony honoring the trainee participants, a few of them showcase their training completion certificates. Amira, a trainee in the Kitchen/Pastry Section, prepares a fresh cake and frosting. Ingy Helal (left) works with Donia (center) and Nada (right), both in the Engineering/Landscape Department at Hilton Sharm Waterfalls Resort in Sharm El Sheikh, Egypt. Donia and Nada were the first women to be in the department, typically a male-dominated role in Egypt. Fatma, a trainee in the Engineering/Electrical Department, works on an electrical circuit. Fatma was the first woman to be in the department, typically a male-dominated role in Egypt. Fatma’s boss was so impressed with her knowledge, so he offered her full-time employment. After holding a ceremony to honor the training program participants, Ingy and the original 15 training participants pose for a portrait at the resort near the Red Sea. Ingy joins the initial group of 15 participant trainees on a bus for a social outing. After working many weeks together in the training program, the group forms strong bonds.